Are you looking for a machine that allows you to sew blind stitches that are barely visible from the outside of a garment? This blindstitch machine is for you! 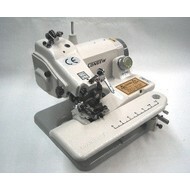 Our quality industrial sewing machine is perfect for your home or small business! Whatever you’re choosing to sew, this will guide you to your masterpiece.